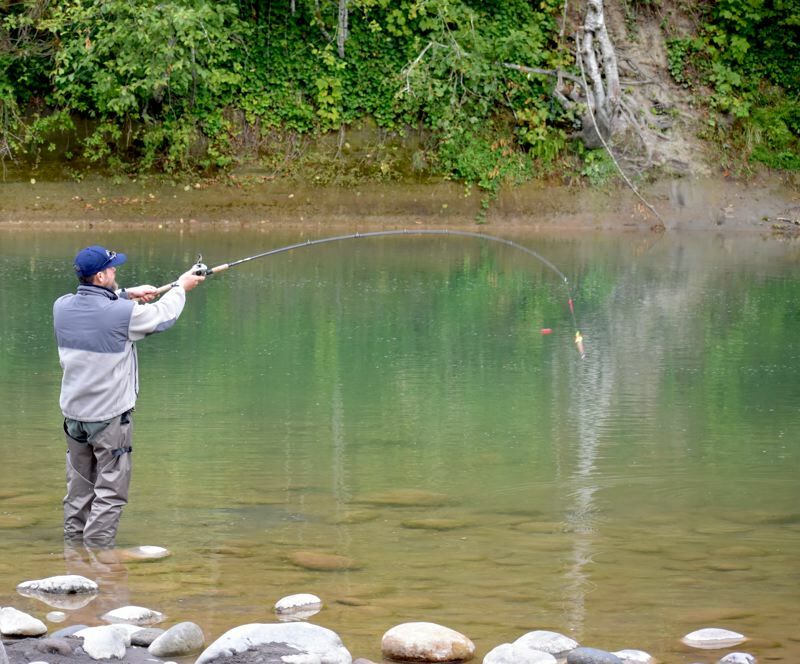 Imagine fishing on the Sandy River, getting a bite, fighting with a strong fish and reeling it out of the water to discover it's a native steelhead. Safely back to the water it must go. Barring a few exceptions, only hatchery-bred fish are legal to kill for meat. And more fishermen and women are catching and returning native fish on the Sandy because of the wild fish population rebounding in the Columbia River tributary, said Jeff Stoeger, co-president of the Sandy River Chapter of the Northwest Steelheaders. "The natives are outnumbering the hatchery fish," he said. The increase in wild fish is likely a result of river restoration efforts during the past 10 years including the removal of Marmot Dam in 2007. The 49-foot tall dam was constructed as one of Portland General Electric's (PGE) first sources of power, noted Rick Swart, Oregon Department Fish and Wildlife (ODFW) spokesman. Its removal in 2007 was the first step in returning the 56-mile Sandy River — which starts at the Sandy Glacier on Mount Hood and traverses northwest toward the Columbia — into a free-flowing waterway. 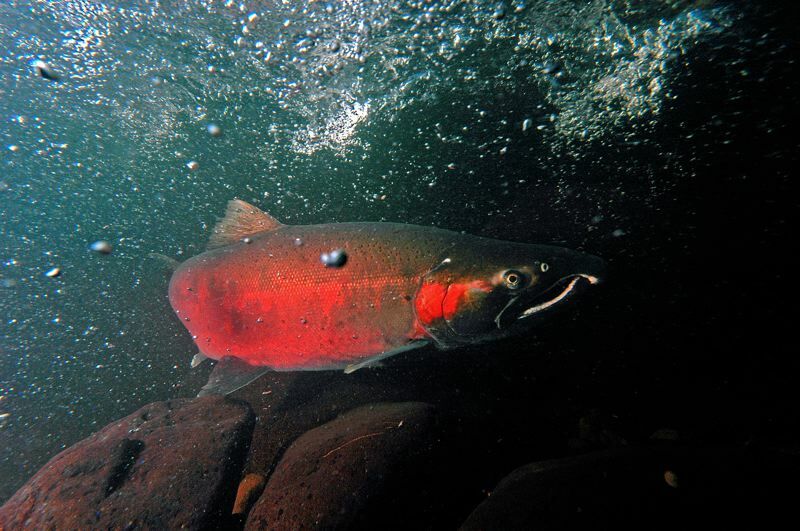 "While not solely due to dam removal, returns of wild spring Chinook, winter steelhead and coho have increased significantly as compared to their abundance before the dam was removed," Swart said. "The best news is fish are now spawning where habitat didn't even exist." After the Marmot was dismantled, two smaller dams on or near the Sandy also were removed. 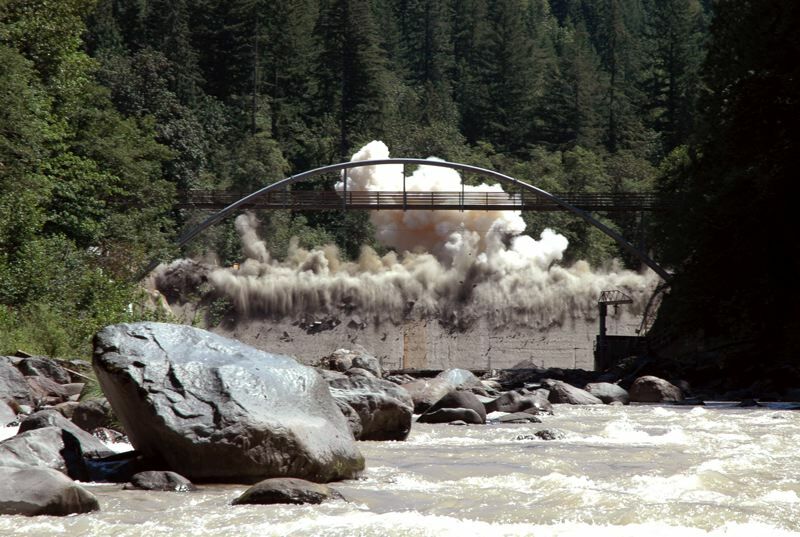 The Little Sandy River Dam at Rosslyn Lake was taken out in 2008. When the diversion dam at the Sandy River delta was demolished in 2013, the stream returned to its original free-flowing state. While the removal of the dams has certainly improved fish habitats, other restoration efforts have contributed to the fish increase, said Todd Alsbury, ODFW's North Willamette Watershed District biologist. Another restoration effort includes adding wood — removed earlier to prevent flooding — as part of restoring natural features that promote healthy fish habitats. "In the last few years, the level of direct restoration work with all of those things combined are showing a difference in fish runs," Alsbury said. "We're trying to undo what we have done as humans." With the native species increasing and living in the river alongside fish bred in a hatchery, it may seem that cross breeding would increase, but Swart said it's a rare occurrence because ODFW crews have undertaken prevention efforts. For example, ODFW implemented acclimation ponds where hatchery fish spawn, while the native fish will spawn farther upstream. Though rare, cross breeding does happen, and the offspring will not be well suited for the Sandy's habitat and can harm the river's ecosystem. To mitigate that impact, ODFW breeds hatchery fish to mimic their native counterparts as closely as possible. 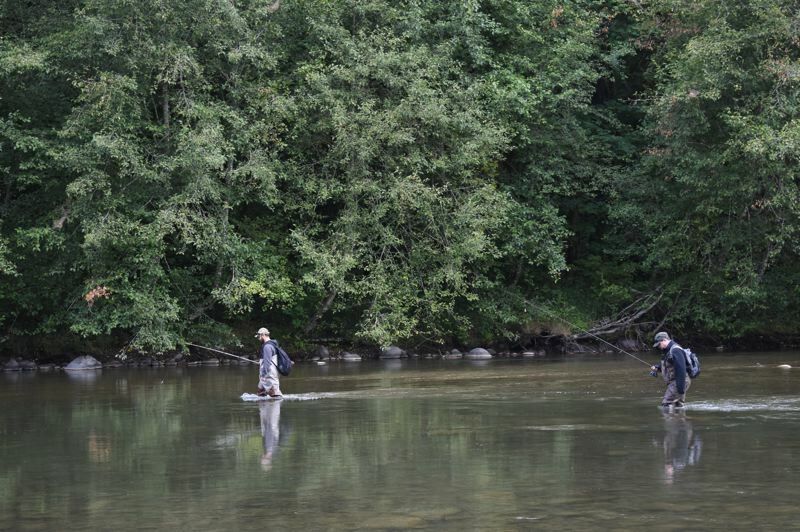 On Saturday, Sept. 15, Welches resident Troy Asher was fishing for salmon and steelhead on the Sandy River at Dodge Park — where Bull Run meets the Sandy. He fishes year-round in nearby rivers. Last year, he caught a wild Chinook salmon that he had to return to the water. "It's heartbreaking," Asher said of catching wild fish, "but nobody wants to see the natives disappear. Because if the natives go, the whole food system breaks down." Stoeger, the co-president of the Northwest Steelheaders, said he likes to fish for steelhead because there they're elusive and don't come up quietly. "My goal is not to catch natives, but when you do catch them they are a much larger fish," he said. "And they put up more of a fight." These fish stories wouldn't be possible without river restoration efforts. And while the Sandy River restoration has been a success story, Alsbury said wild-fish returns on other Oregon rivers aren't rebounding as well as they are on the Sandy. "We're very hopeful the Sandy is on the trend that is going to lead us to recovery," he said. "It is one of those shining stars. It's right in the backyard of 60 percent of where Oregon lives. If we can prove we can do it here, we can do it in other areas of the state." The Sandy River Watershed Council will host a host a river float cleanup on Saturday, Sept. 22, where volunteers will take part in a floating cleanup of the lower Sandy River, sponsored by the city of Troutdale. 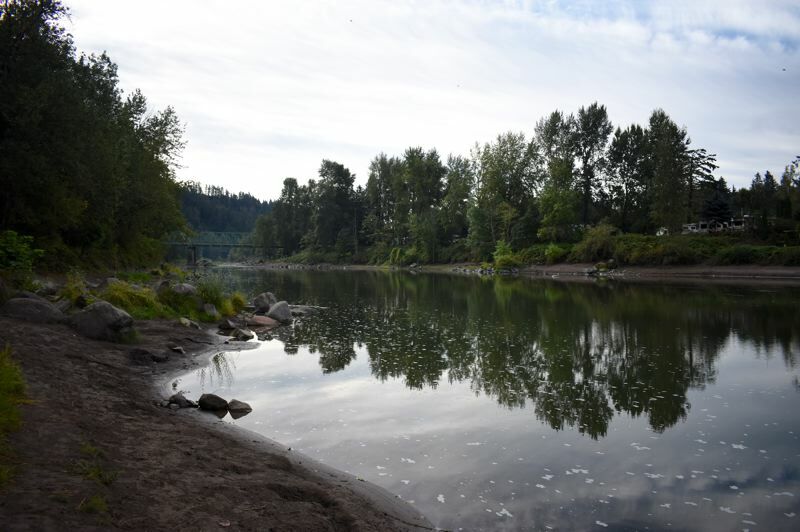 Participants will meet at Lewis and Clark State Park near the Sandy's mouth at Troutdale, and carpool up to Dabney State Park and float back down collecting trash. Guides from Stout Creek Outfitters will provide raft seats for up to 50 volunteers and steer the rafts through the calm, shallow September waters. American Medical Response has lifeguards on kayaks for volunteers' safety. The annul event is part of restoration efforts that have increased native fish species returning to the Sandy River.